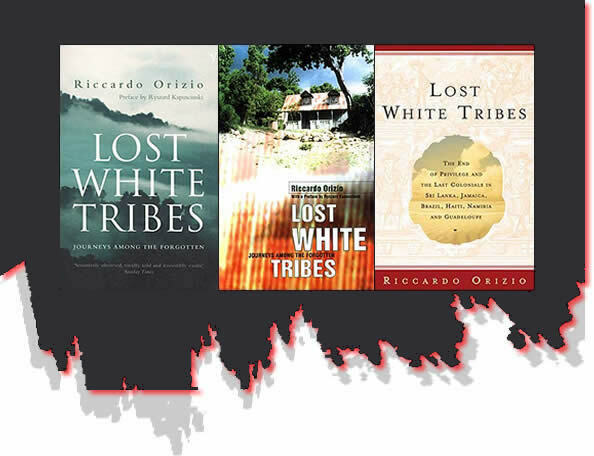 An Italian CNN journalist visits vestigial settlements of whites who have lingered in some of the world’s most remote areas long after the colonial era ended. 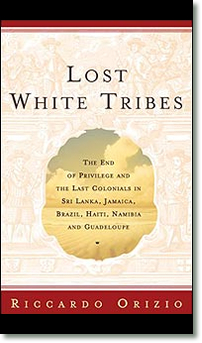 Near the end of this remarkable collection of essays, Orizio states what has become obvious: “Everyone clings to history, but no one admits to knowing what exactly history is.” He was referring to a group of people on Guadeloupe called the Blanc Matignon - deeply impoverished remnants of some French colonialists during the Napoleonic era who decided to head for the hills instead of for home. And in the hills they remain, eking out a living and claiming a kinship to the Bourbons and to Prince Ranier. The author found much the same everywhere he looked: people, for the most part, with no written histories but with deeply held convictions about their importance in the world and, in some cases, with ludicrous notions of racial superiority. He begins in Sri Lanka, where some sad descendants of Dutch Burghers cling to memory as firmly as infants cleave to their mothers. Then it is off to Jamaica, where live some Germans, whose ancestors arrived in the mid-19th century. One of the most intriguing groups are the remains of some Confederates from the US Civil War who now live in Brazil. Called Confederados, they once numbered perhaps as many as 20,000. Their little church houses a life-size portrait of Robert E. Lee. “Their dream,” writes Orizio, “was to reshape Dixieland far from modern temptations”. In Haiti, he finds what is left of some Polish settlers who arrived 200 years ago. Though they have intermarried with the black population, they keep themselves separate-and know the polka. Some, says Orizio, have arresting blue eyes. In Namibia are some people called Basters, folks who descend from Dutch and Hottentot ancestry. They complain of Eden lost and dream of a homeland. A gripping work that startles, entertains, enlightens-and raises important questions about the nature of history, and of humanity.